Iran continues to finance, train, arm, and support Shia terror groups in Iraq. The Qods Force, via its Ramazan Corps command operating in eastern Iran, remains active in subverting the Iraqi government and attacking US and Coalition forces. The latest report on Iran’s activities inside Iraq from The Associated Press is sourced from an anonymous senior US intelligence official. Elements from the AP report matches prior assessments from Iraqi intelligence officials as well as reports here at The Long War Journal and other publications. 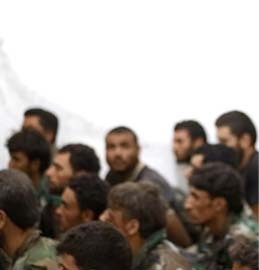 Qods Force and Hezbollah currently run training camps for the “Special Groups” as well as the Hezbollah Brigades in at least four locations inside Iran, at Qom, Tehran, Ahvaz, and Mashhad, the senior military officer told the AP. The camps are co-run by Iran’s Qods Force and Hezbollah, Iran’s proxy in Lebanon. The US military has publicized Qods Force and Hezbollah’s involvement in training the Special Groups since late 2006, when senior Iranian operatives were detained in Baghdad and Irbil. The Special Groups is the name the US military has used to describe the Mahdi Army and other Shia terror groups backed by Iran. In September 2007, US forces captured Mahmud Farhadi, the Qods Force officer in charge of the Zafr Command, one of the three units subordinate to the Ramazan Corps, Iran’s military command directing operations inside Iraq. US forces also captured Ali Mussa Daqduq inside Iraq in early 2007. Daqduq is a senior Hezbollah commander who was tasked with setting up the Mahdi Army Special Groups along the same lines as the Lebanese terror group. 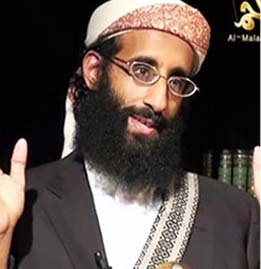 Daqduq served as the chief of Hezbollah leader Hassan Nasrallah’s bodyguard as well as a commander of the terror group’s special forces teams. Recently, the Kata’ib Hezbollah, or the Hezbollah Brigades, has risen in prominence as the group has publicized attacks against Coalition forces in which the deadly, armor-piercing explosively formed penetrator mines and the less sophisticated improvised rocket-assisted mortars, or “flying IEDs,” were employed. Hezbollah operatives have posted videos of these attacks on the Internet. Since July 21, the US military has captured 12 Hezbollah Brigades operatives, including three propaganda specialists. Multinational Forces Iraq said the group receives support from Iran and is an “offshoot of Iranian-trained Special Groups,” Sergeant Susan James, a Public Affairs noncommissioned officer for Multinational Forces Iraq told The Long War Journal in July. The Hezbollah Brigades is described as “a separate and independent organization from Special Groups,” said James. “We believe that Hezbollah Brigades does receive support from Iran,” James said. “That support likely includes funding, training, logistics, and materiel.” Iran’s Qods Force funds, trains, arms, and supports Mahdi Army operatives to facilitate attacks on Coalition and Iraqi forces. “They are also believed to receive guidance or direction from the Iranian Revolutionary Guard Corps – Qods Force,” Multinational Forces Iraq stated in the latest press release on the capture of nine Hezbollah Brigades operatives in Baghdad. Prior to the Iraqi offensive against the Mahdi Army and allied Shia terror groups in Baghdad and the South from March through July, Iran ran at least three terror camps inside southern Iraq, and one inside Iran, according to a US military briefing map obtained by The Long War Journal. The map also details the Ramazan Corp’s supply lines, weapons storage depot, command centers, and points of entry in central and southern Iraq. 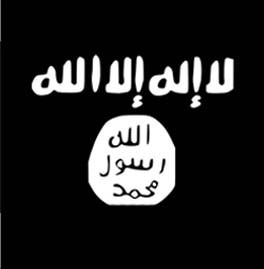 The three camps were located in southern Iraq in Qadisiyah, Dhi Qhar, and Basrah provinces. 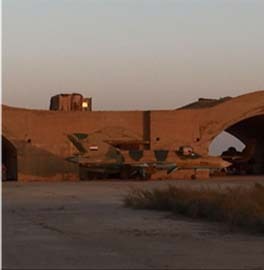 Another camp was identified in Al Sheeb in Iran across the border from Maysan province. In these camps, the Hezbollah Brigades and the Special Groups receive training on a variety of small arms and explosives. “The training includes how to conduct reconnaissance to pinpoint targets, small arms and weapons training, small unit tactics and terrorist cell operations and communications,” the AP reported. Training on the use of EFPs, armor-piercing RPG-29s, and various explosives and assassination techniques is also given. Not mentioned in the AP is that the Qods Force and Hezbollah are also providing training on the building and use of improvised rocket-assisted mortars. The Iraqi security forces have stepped up operations against the Ramazan Corps and the Mahdi Army in the southern provinces over the past several months. Operation Knights’ Assault was launched against the Mahdi Army in Basrah on March 25. 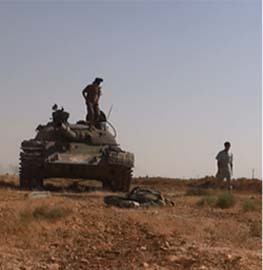 After six days of heavy fighting, the Mahdi Army pushed for a cease-fire. The Iraqi security forces also dealt the Mahdi Army a heavy blow in the southern provinces of Najaf, Karbala, Qasidiyah, Maysan, and Wasit. In May, the Iraqi security forces expanded operations throughout Basrah province in Az Zubayr, Al Qurnah, and Abu Al Khasib along the Iranian border. In June, an operation kicked off in Dhi Qhar province, which borders Maysan to the southeast. The Iraqi military launched its assault on Maysan province, the Mahdi Army’s stronghold in the South, in late June. Maysan province was a strategic link for the Ramazan Corps. 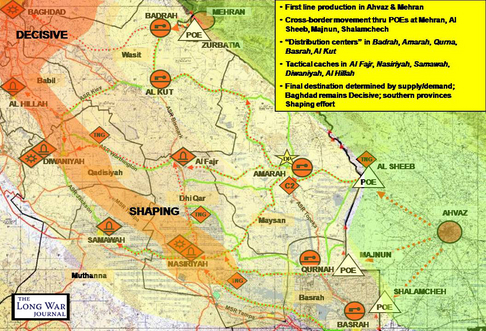 Amarah, the provincial capital, served as the Qods Force-Ramazan Corps forward command and control center inside Iraq as well as one of the major distribution points for weapons in southern Iraq. Iraqi forces uncovered a major headquarters in Amarah that may have been the Ramazan Corps’ forward command center. Numerous documents, weapons, and torture rooms were found in the compound. The Mahdi Army suffered a significant blow during fighting against Iraqi and Coalition forces this year, according to an Iraq intelligence report. 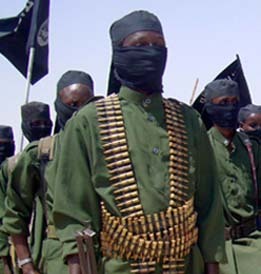 More than 2,000 Mahdi Army were estimated killed during the fighting. “This led to the almost complete collapse of the army,” an Iraqi intelligence official said. More than 1,300 Mahdi Army fighters, including senior commanders, are believed to have fled to Iran to avoid the Iraqi dragnet. The heavy casualties and defeat in Baghdad and the South suffered by the Mahdi Army have forced Muqtada al Sadr to change his tactics and disband the Mahdi Army in favor of a small, secretive fighting force. This group is tasked with taking part “in resistance in all the Muslim countries and especially Iraq, militarily and ideologically, to the occupiers, colonizers and secular Western thought,” a senior Sadr cleric said during this Friday’s prayers. The Thunder Run has linked to this post in the blog post – From the Front: 08/17/2008 – News and Personal dispatches from the front and the home front. Good intel for another layer on my map. I remember somewhere on the Internet provided locations of possible IED factories in Iran, but couldn’t remember rather it was Long War Journal, the old Fourth Rail blog, or an UK news source. Anyone have info on this? I could have a better picture adding layers of military, terrorist, training, nuclear, and IED factories on the map. Want to send the Iranians a messsage? Blow one of those weapons warehouses in Iran, close to the Iraqi border, to kingdom come. I have to believe there is a covert war going on that we may never hear about. I would have to be pro-active in this situation. The Iranians are treading on dangerous ground.